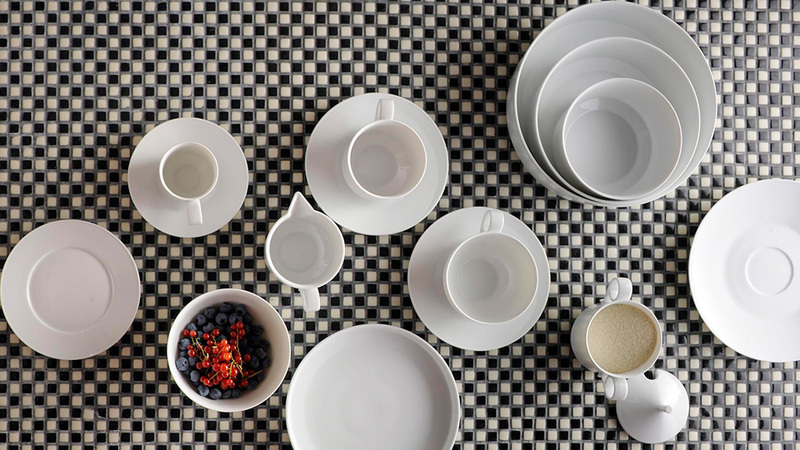 Carlo Dal Bianco by Fürstenberg - spare and elegant porcelain dinnerware with a slight curvilinear form. The purest of white china feels just right in the modern, contemporary home. Not all available pieces in the Carlo Dal Bianco collection have been posted online. Please contact Aiko Luxury Linens for more information. Please note there is a $1,500 minimum order of Furstenberg dinnerware. For more information about Carlo Dal Bianco Architect and Designer click here. Carlo Dal Bianco Furstenberg Charger 12.6"
Carlo Dal Bianco Furstenberg Soup/Salad Bowl 7.9"
Carlo Dal Bianco Furstenberg Vegetable Bowl 9.1"
Carlo Dal Bianco Fuerstenberg Oval Platter 12.6"
Carlo Dal Bianco Furstenberg Oval Platter 14.2"
Carlo Dal Bianco Universal Saucer 6.3"